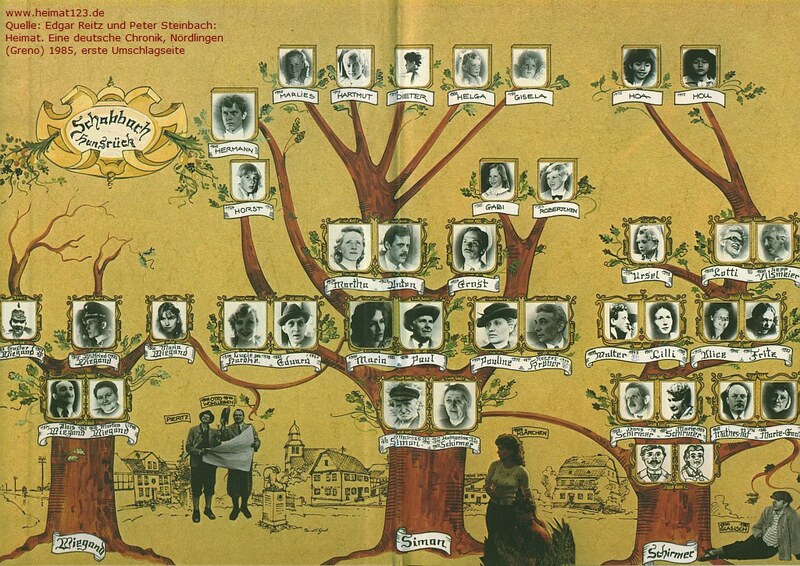 Now that we’ve wrapped up our screenings of Heimat, I thought you might find it helpful to see the Simon family tree, which can help us remember how all the various characters were related. The image below comes from the book Heimat – Eine deutsche Chronik that Reitz published in 1985, shortly after the first run of his series on German television. As you can see, there’s a final row of great-grandchildren that appear only in the last three episodes. This entry was posted in Heimat. Bookmark the permalink.